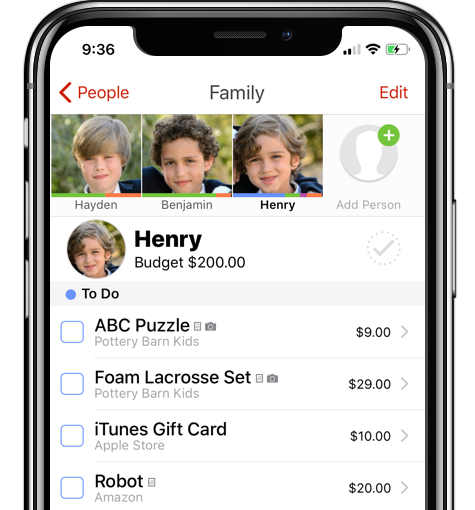 Organize your lists into groups that work for you – like "Friends" or "Family" – and easily add people directly from your address book. 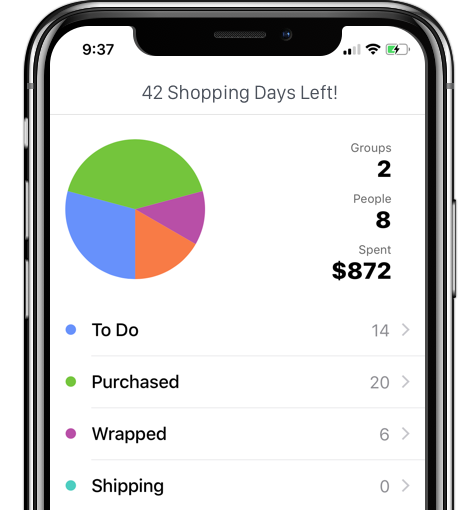 Get a quick overview of your shopping budget and total spending across all groups. 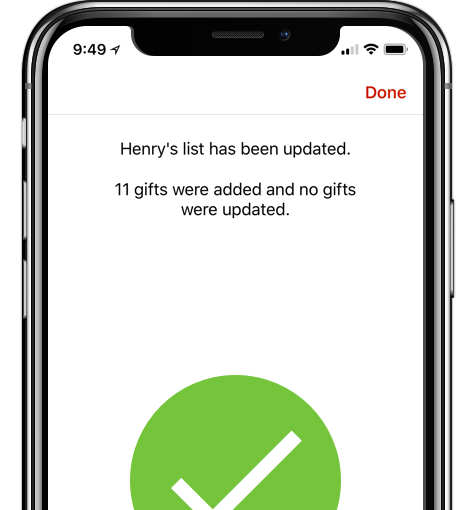 Add new gifts as easily as jotting a quick note and, if your device supports it, you can even add gift lists with just your voice. 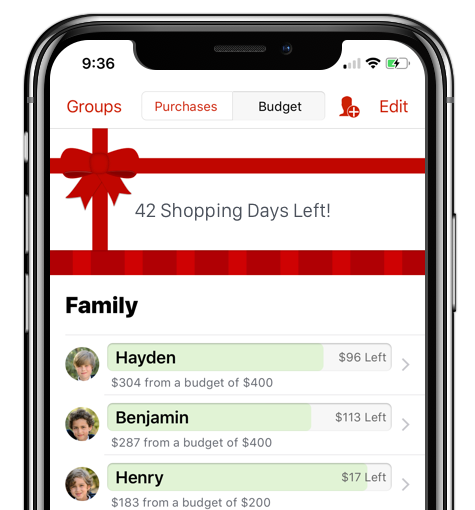 Easily share your list with others. 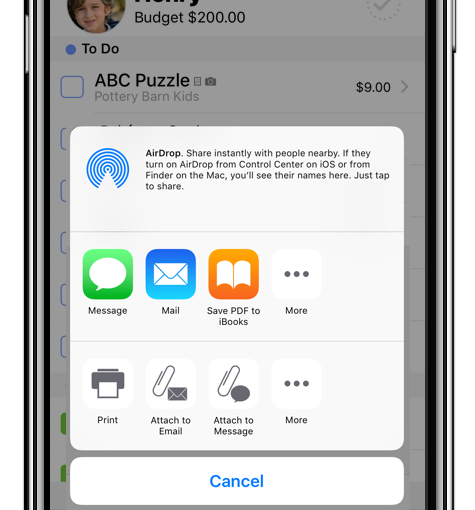 You can quickly text or email the lists to anyone and if you are sharing a list with someone else using The Christmas List, you can send a list that will import directly into the app using AirDrop. Track everything you need to know about that perfect gift. 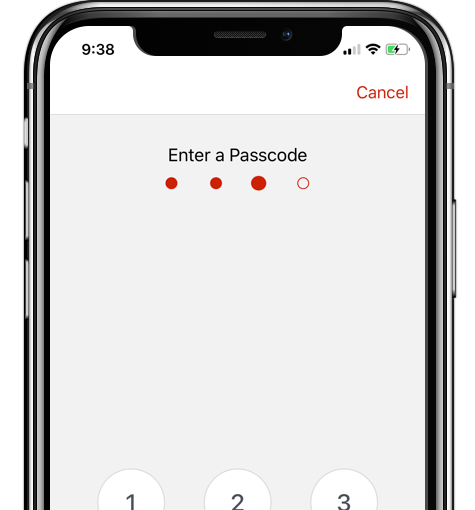 Use your camera or photo library to add pictures. 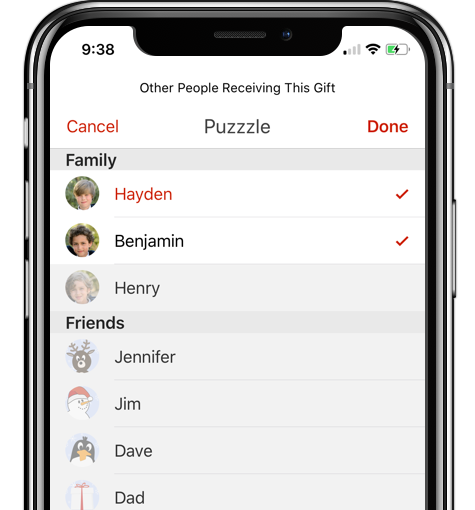 When you enter a gift in The Christmas List, it remembers the information about that gift and allows you to give the same gift to anyone on your list. 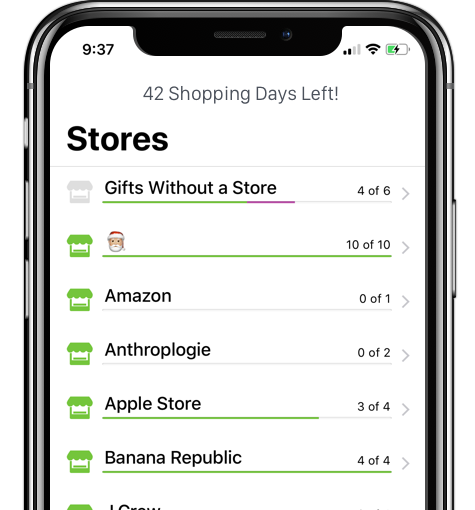 Switch to store view while shopping to get in and out in a jiffy. 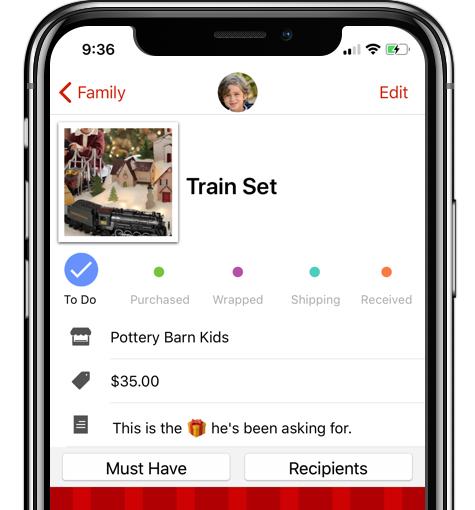 Stay on top – from shopping to shipping – The Christmas List is your secret weapon for a super-organized and stress-free Christmas. 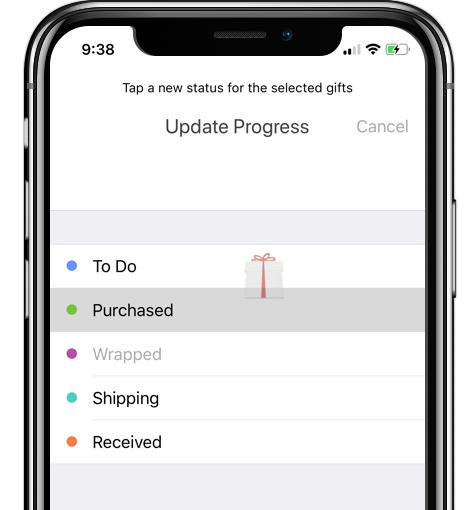 A really handy feature to use when wrapping or shipping gifts – easily change the status of multiple gifts at once. The modern version of the "Do Not Open Until Christmas" note. 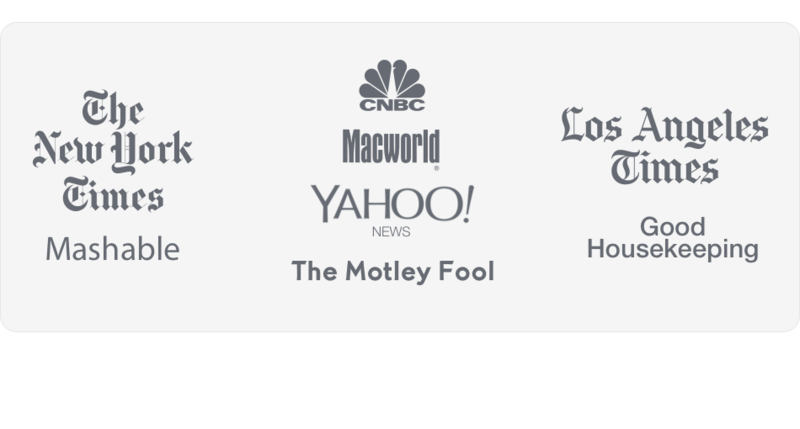 Copyright © 2009-Present Limbua, LLC. All rights reserved.